Chris Brown wants fans of Rihanna and Beyonce to put some respect on his name. The R&B singer sparked a heated debate among fans earlier this week when he says he would love to go on tour with Rihanna, Beyonce and Bruno Mars. While some fans and even myself think it would be dope to have a tour with these four artists, others think Chris Brown is not a big enough artist to want to tour with the other three acts. Breezy also shared his personal reaction to the chatters by reminding fans that his last album, Heartbreak on a Full Moon, is certified platinum. “SAY WHAT U WANT… really wouldn’t matter at this point. GREATNESS DEFENDS AND SPEAKS FOR ITSELF,” he tweeted. JAY-Z was completely snubbed at the 60th annual Grammy Awards in New York, almost. Hov, who is one of the most decorated artists in the history of the Grammy, went home empty-handed at this year’s awards. The “4:44” rapper went into the ceremony the Madison Square Gardens with the most nominations, but lost on each of his eight nods to either Kendrick Lamar or Bruno Mars. In fact, K-Dot and Mars almost sweep every category they were nominated in. Thankfully, the good folks at the Recording Academy recognized JAY-Z’s contribution to music the night before by honoring him with an industry icon award. But that was not enough to appease fans who were very vocal about their discontentment on social media on Sunday night. JAY-Z, whose real name is Shawn Carter, was this year’s Salute to Industry Icons honoree. The rap legend received a tribute performance from Alicia Keys and thus received the President’s Merit Award. During her performance, Alicia Keys belted out some vocals to her collaboration with JAY-Z, “Empire State of Mind,” before performing some of his classics including “Dead President II” and “Hard Knock Life (Ghetto Anthem).” Jay also turned down a chance to perform at the Grammy’s as if he had an idea that he would be snubbed in the end. Nevertheless, it was a bit embarrassing to watch Kendrick Lamar, Bruno Mars, Childish Gambino, and others accept one after another Grammy and Hov just sitting there. The pop singer and Mark Ronson scored a massive hit with their collaborative single “Uptown Funk.” The single was released in 2014 and went on to become one of the biggest song on the planet that year and is still in heavy rotation on radios to date. 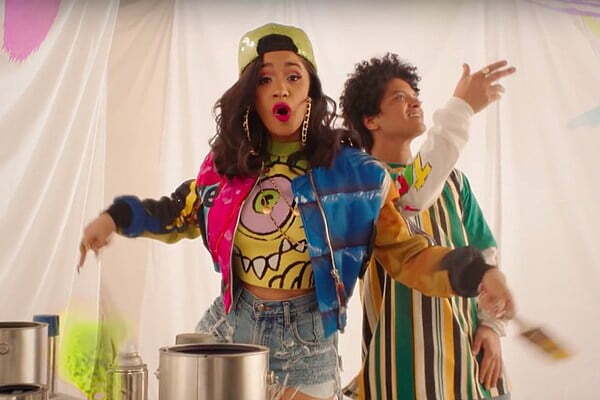 The retro music video for “Uptown Funk” has already clocked close to three billion views on YouTube. But after making millions off the single, here comes a new lawsuit from a rap group who claim that they rip off their song, TMZ reported. The Sequence claimed that Bruno Mars and Ronson ripped off their 1970s classic “Funk You Up” which created history in 1979 when it became the first rap son to reach the top 50 on the Billboard Hot 100 chart. In their suit, the female trio claim that “Uptown Funk” has “significant and substantially similar compositional elements.” They are asking for an unspecified sum in their suit. This is the second lawsuit the two singers are facing in the last couple of months. Back in September of this year, Roger Troutman and Zapp filed legal docs claiming that Bruno Mars and Mark Ronson stole pieces of their song “More Bounce to the Ounce” which was released in 1980. Welcome to Directlyrics. We feature thousands of lyrics, but unfortunately the XXIV lyrics by Bruno Mars are not available yet. While we wait for the song to be released by Bruno Mars – so we can add the lyrics to the site – check out our daily updated blog or discover more great music through our own weekly new music playlist.